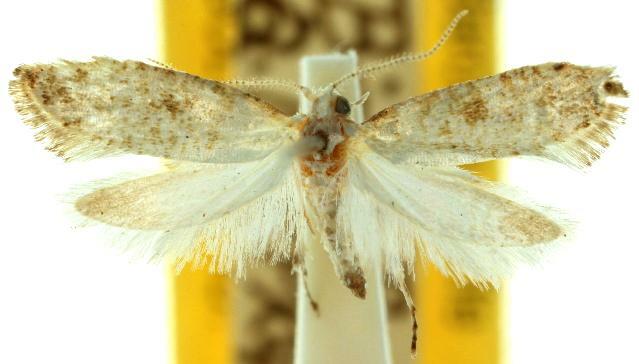 The adult moth has off-white forewings each with brown speckles, including a dark suffused spot near the middle. The hindwings are white shading to brown at the wingtips. Its wingspan is about 1.3 cms.